Have you noticed something different with your ficus hedges? Do they seem to completely defoliate for no good reason? It could be a white fly infestation! The White Fly is an exotic pest that is now attaching itself to trees, hedges and ficus in Florida. It has its origins in India and China and is reported to have found its way into Florida through cargo. To spot a white fly infestation, you should inspect the condition of the leaves. They start turning yellow and drop off in very large quantities. Bare Ficus trees are an obvious symptom of a possible white fly infestation. The insects have needle-like mouth parts and love feeding on the underside of the leaves. It is in this same area that you will find the nymphs and eggs maturing. The adult insects have white wings and yellow bodies, but some might have white tiny spots on them. Immature stages (eggs and nymphs) can be found primarily on the underside of the leaves. Also some may have white tiny spots. Adult white fly yellow body and white wings. As soon as you suspect a white fly infestation on your plants, it is important to have your property inspected by Toro professionals. This kind of inspection can be very helpful even before you start seeing any signs of an infestation because they can save the situation for you before it is too late. The inspection will monitor the ficus plants for early signs of white fly garden pests. The earlier the white flies are discovered the easier it will be to contain it before the population shoots causing major damages to your plants. Toro Pest Management professionals will come on site as soon as you make contact to start with the inspection. This inspection and evaluation will be offered free by a qualified technical adviser. If the inspection confirms a case of white fly infestation, our technicians will conduct a drench root treatment around the base of the hedges and the trees as well. Drenching is effective since the pesticide used will be absorbed to kill the adult whiteflies as well as eliminate the eggs and nymphs. Treatment from the root also creates a barrier and prevents other white flies from returning and attacking the trees or plants. 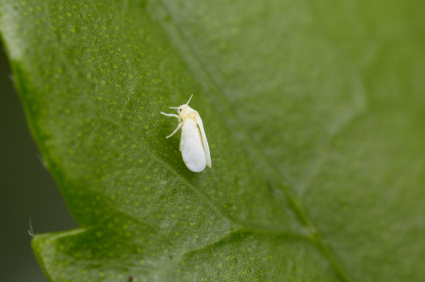 Our exterminators have it all to completely get rid of the damaging whiteflies. If you love your garden, you will definitely want whitefly pest control services that are effective enough. Toro Pest Management offers green whitefly pest control services which will take care of the flies without posing any dangers to you or the environment. Our technicians are also trained and certified; hence you can be sure that they know exactly what they need to do to offer you effective results with pest control. Apart from getting rid of white flies on plants, Toro offers all kinds of pest control services. You can take advantage of our visit to seek other pest control services that will improve your home and garden as well.